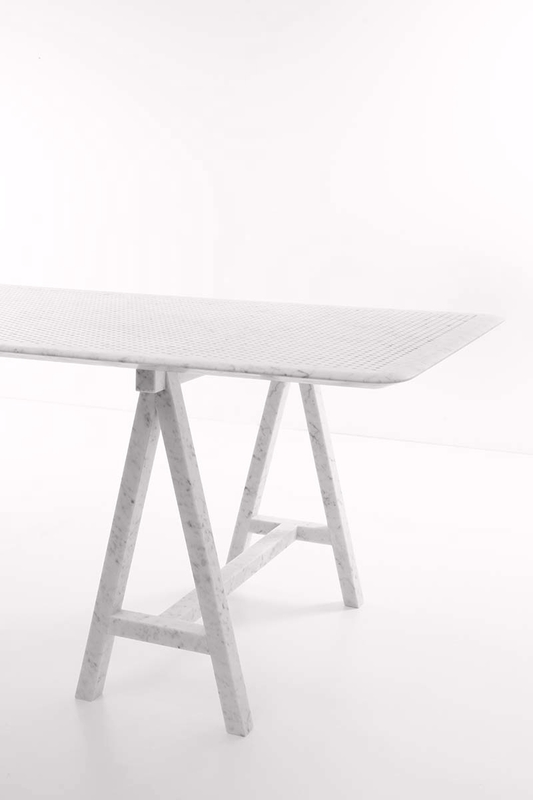 The project led by Normal Studio and Marbrerie d’Art Caudron is based on a research of greatness and lightness. 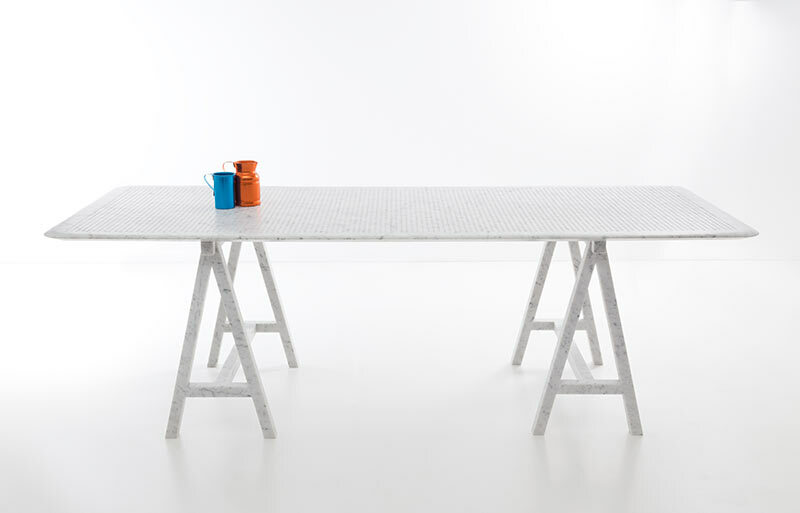 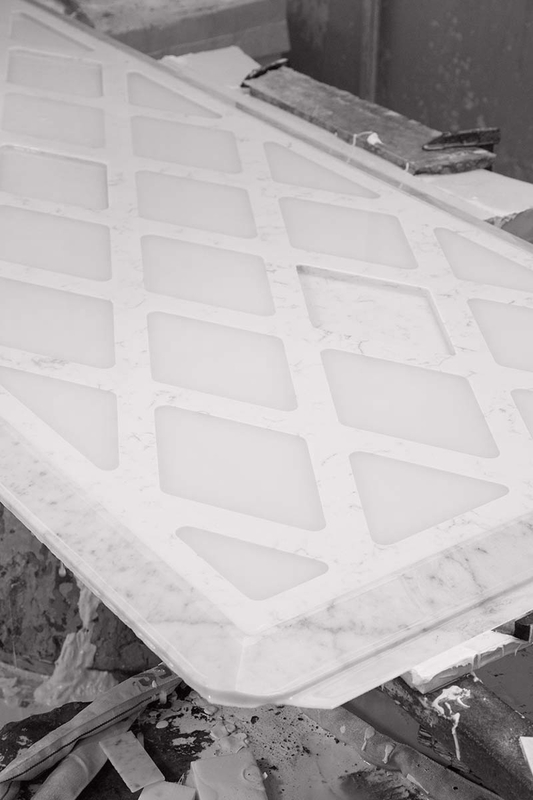 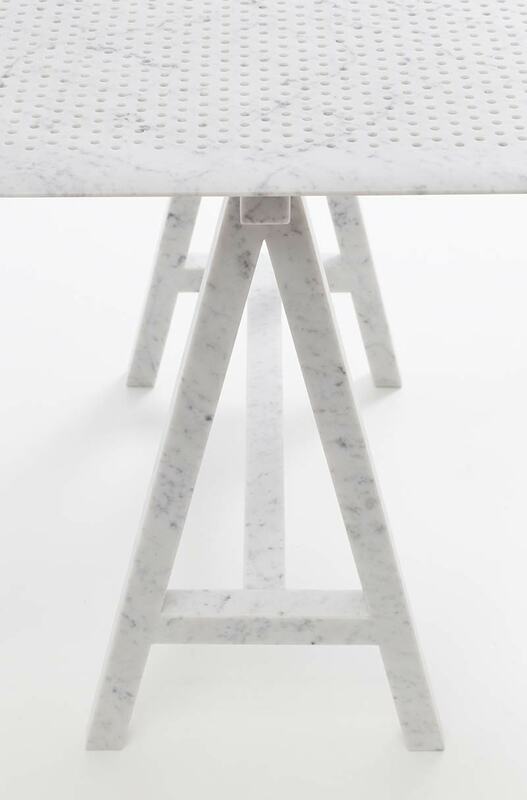 This table consists of a plate in one piece: its dimensions were determined by the biggest size of a beautiful white Carrara marble slab, stored in the workshop. 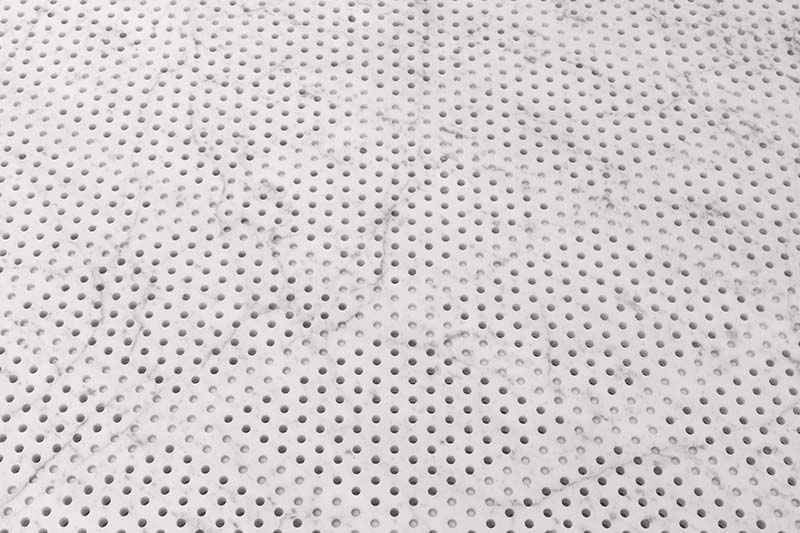 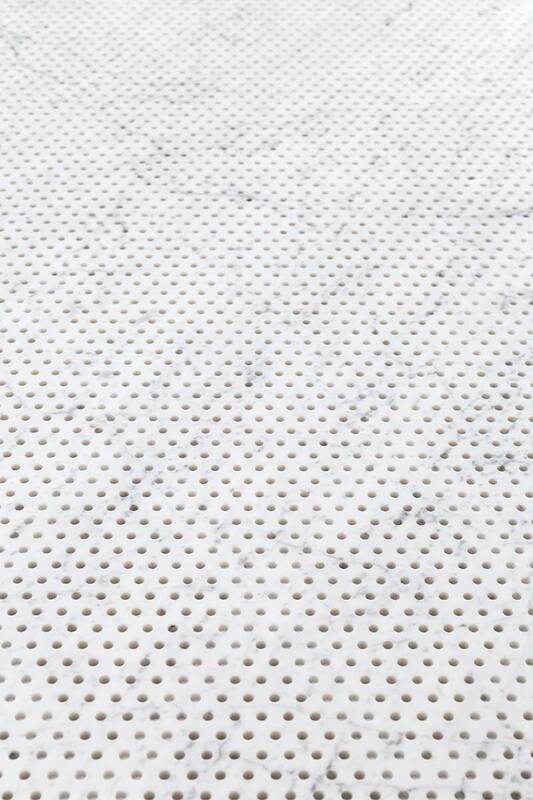 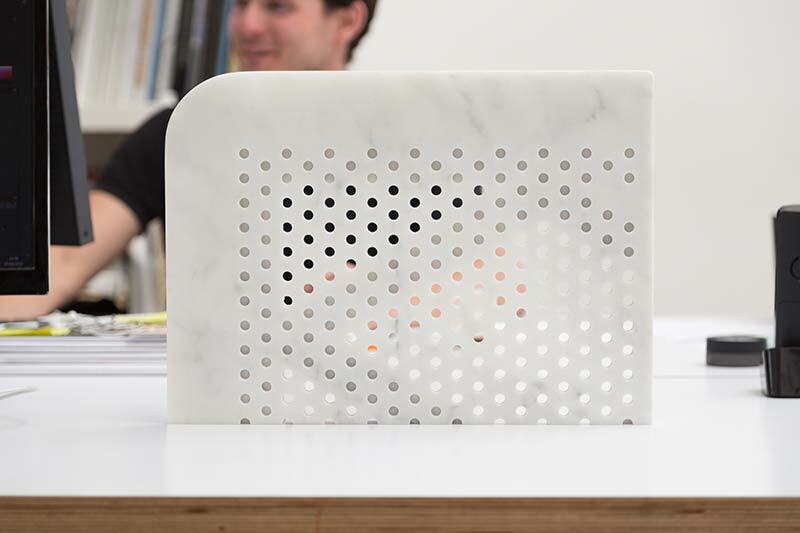 The tray, carefully machined in its thickness, is perforated by 4938 holes which let water and light, decrease its weight and make it easier to move. 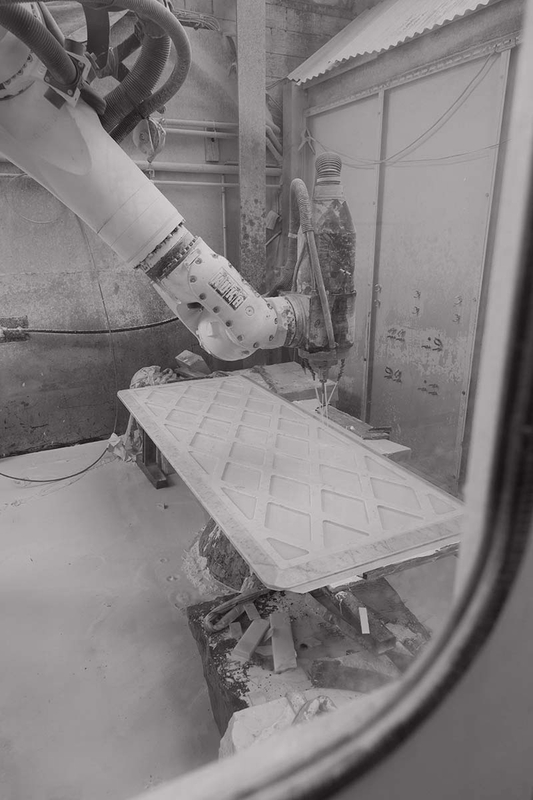 This technical feat is possible through the use of the company's production facilities, equipped with a robotic arm allowing the creation of complex shapes, supplemented by manual skills of the highest quality. 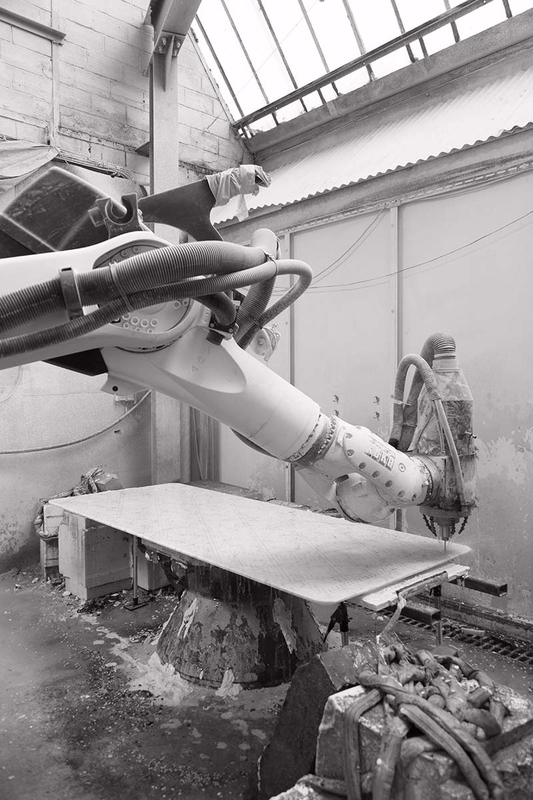 In this case, the digital tool plays the role of the hand, accurate, close to the matter, but still requires the expertise and the finishes of the craftsman. 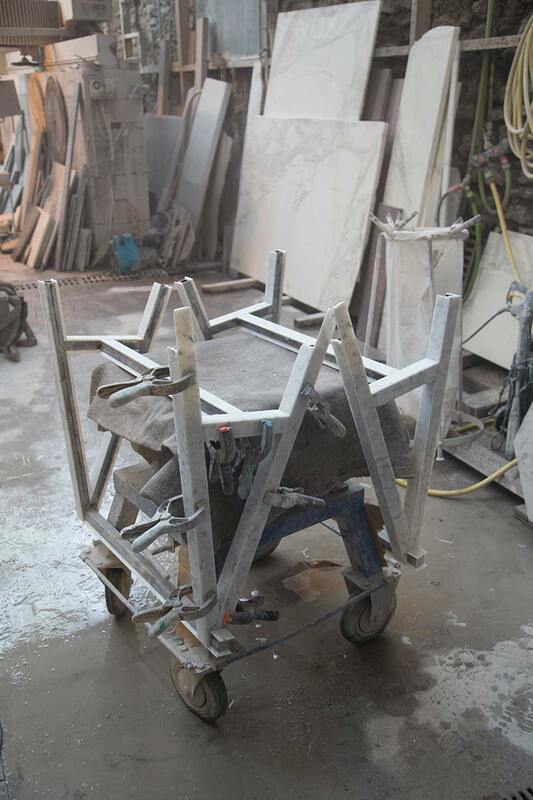 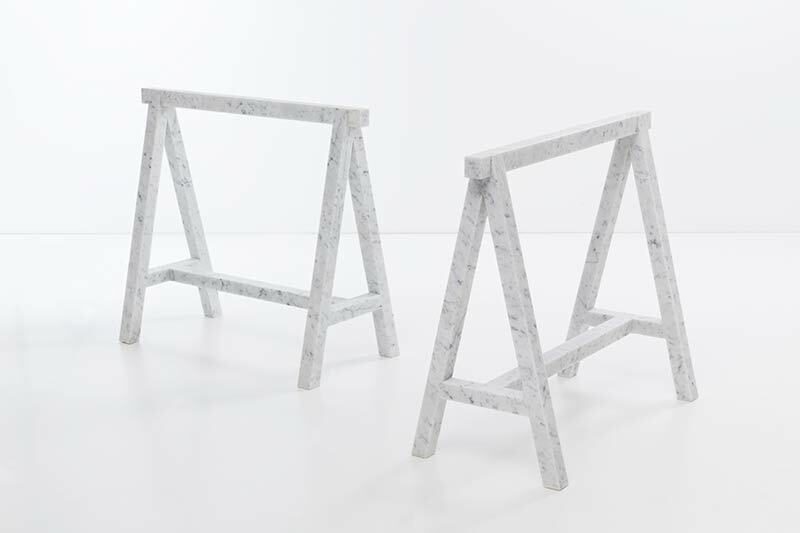 The plate is placed on a pair of trestles, made with the falls of the same marble. 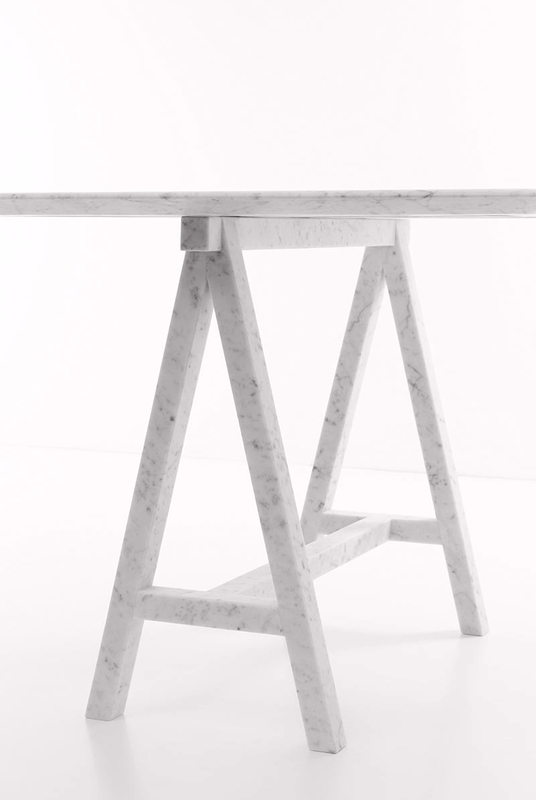 This piece signed by Normal Studio, uses all the expertise of the house Caudron, digital, plating and finishes.